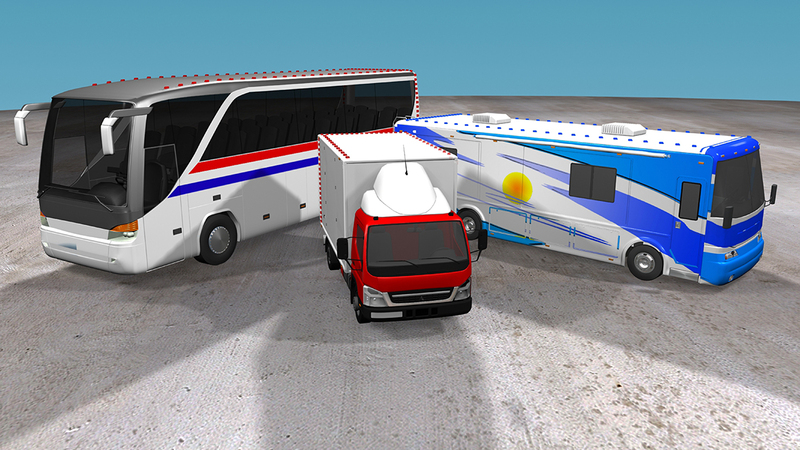 There are two options for straight trucks, RVs and buses: a full set of VorBladeTM generators on vehicle’s rear edges and roof sides (Crosswind Mitigator), or a tail set only on the rear edges. The tail set saves fuel and increases driving stability, and the Crosswind Mitigator further improves fuel mileage especially in windy conditions and helps to compensate harmful crosswind gusts. Therefore, we suggest a full set of VorBladeTM generators for straight trucks, RVs and buses which may save 6% – 8% in fuel, reduce harmful impacts of crosswinds up to 60%, improves vehicle’s stability by about 50% and reduces driver’s fatigue by about 15%. 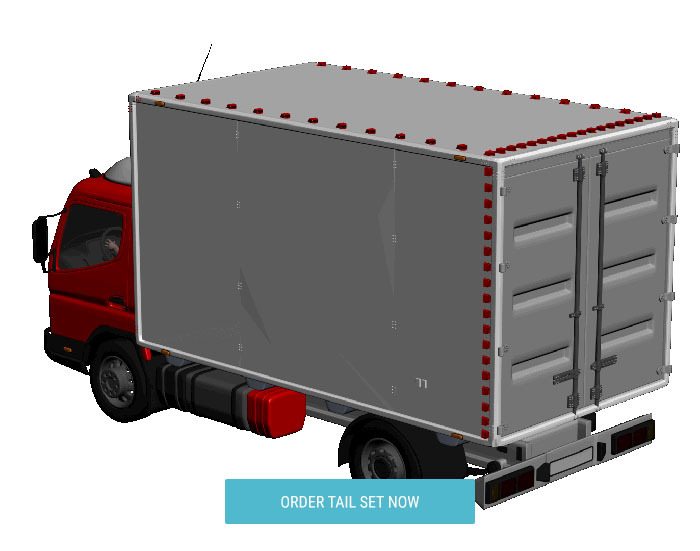 Tail Set: the easiest and the most economical way to outfit the tail of your vehicle is our Cab or Trailer End Kit. 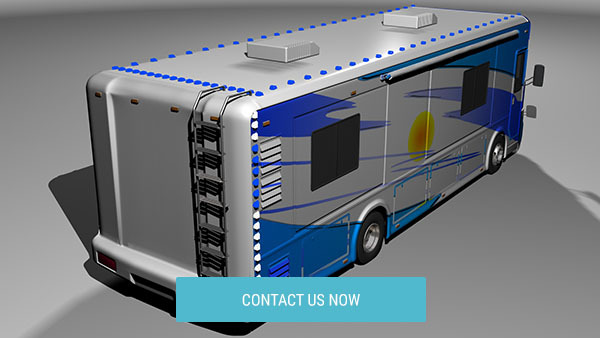 It consists of 48 individual units which is enough to outfit the back of any straight truck, an RV or a bus. LIGHT WEIGHT & EASY TO INSTALL: Less than 7lbs. Under one man/hour to install, templates and adhesives are included, no tools or experience required. OPTIONS: Color choices: white, black, blue or red at no additional cost. Full Set: Let us customize the system to fit both your vehicle and your preferences. There are many brands and models of straight trucks, RVs and buses and they are quite different in size. For example, a full VorBladeTM set for Ford E450 17′ box truck may contain 56 – 60 generators, for Class C motorhome Winnebago Cambria 27K about 72 – 76 generators, and for Class A Motor Coach Thor Hurricane 35M about 90 – 96 generators. Please send us a e-mail at info@vorblade.com or a message through our contact page with brand, model and external dimensions of your vehicle or call us to 303-HIGHWAY (444-4929) and we’ll be glad to build a customized system for you. How Much is cross wind?